Create your own wonderful home with our new variable HARMONY system! You can let your fantasy to play with our new storage HARMONY system. 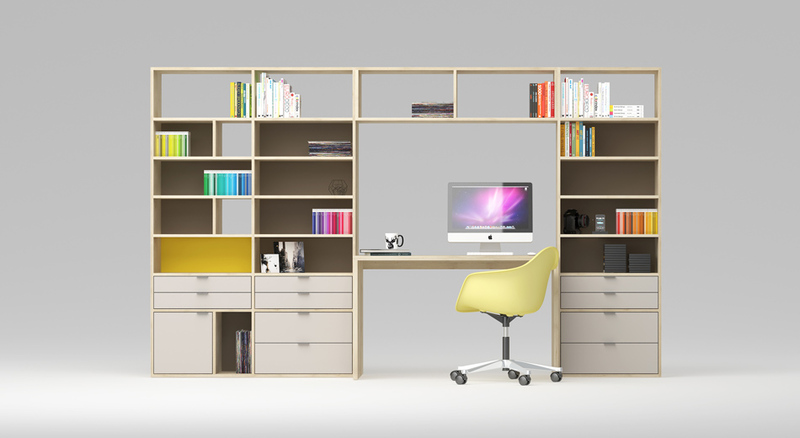 As you can see in the pictures below, the HARMONY system allows you to make a living room set, home office or children´s room. The HARMONY system is a great variant of having your home in one design and one quality. 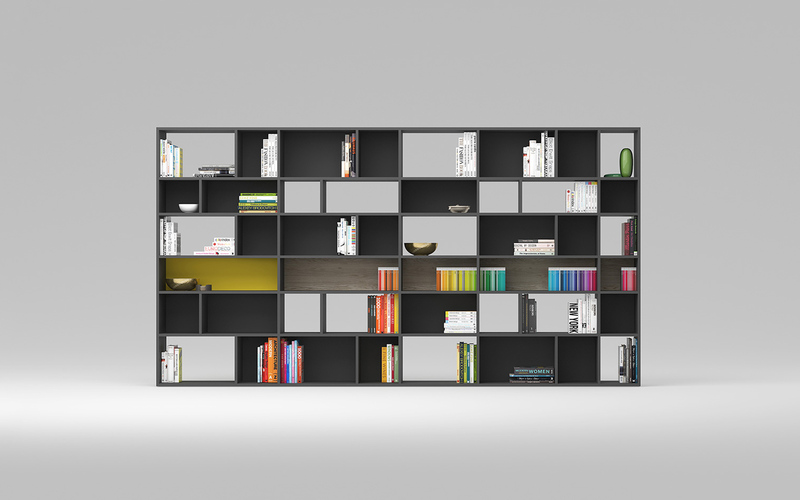 The HARMONY system highlights with its splendid design, faultless construction without visible connecting fittings, holes and shelf supports.systems. 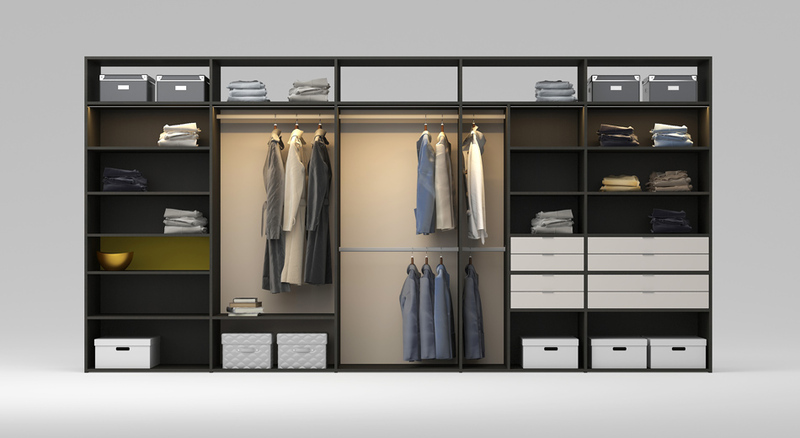 Your daily clothes as well as seasonal ones deserve a beautiful and above all organized place. The walk-in closet that will be organized with terms of ergonomic principles and will look good will be the envy of others. 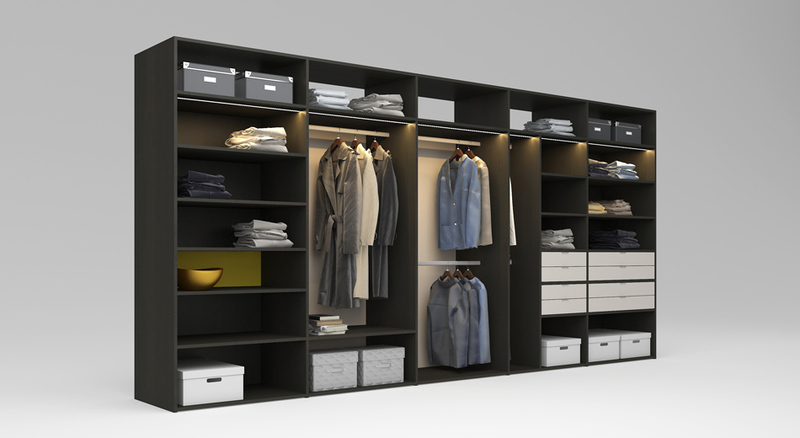 You can have a look at other variants of closets, walk-in closets and storage systems. 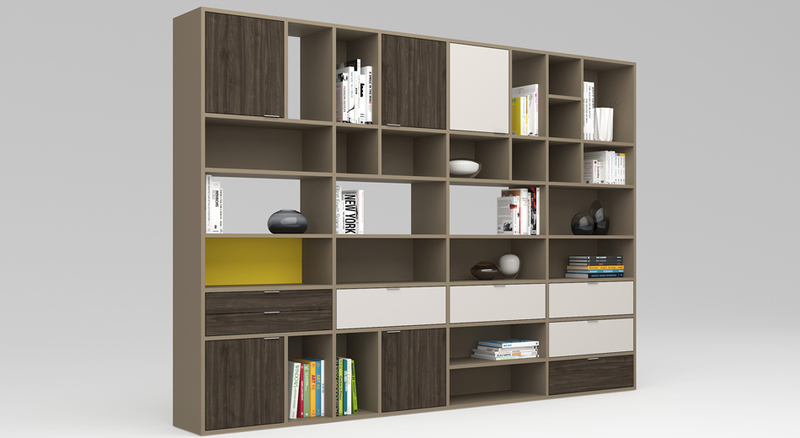 Simpler living room wall units that do not overwhelm interiors have been popular in recent years. 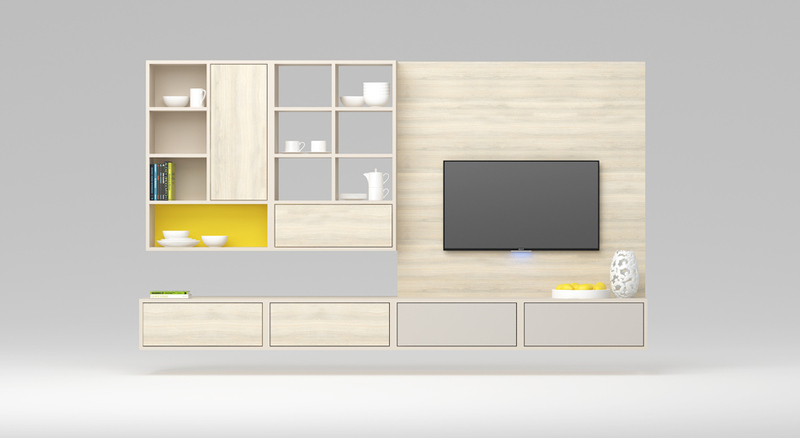 If the living room sets are together with kitchens in one interior, they are usually designed in one style (model) and finish. 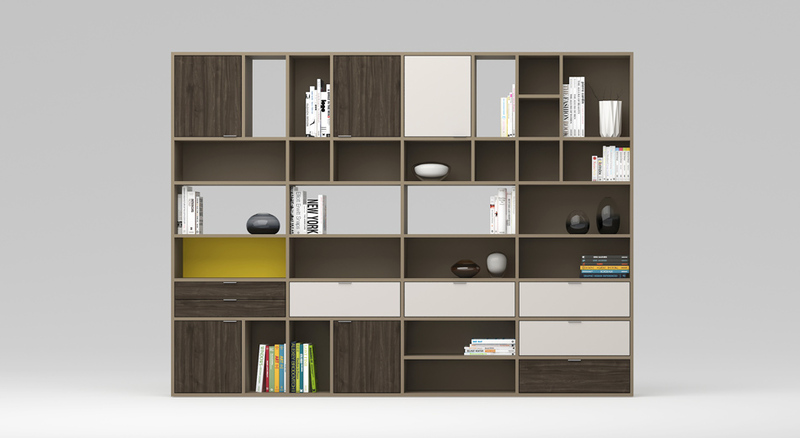 There are many ideas for living room wall units as well as shelves systems in our range of products. Bookcases are mostly a heart issue for their owners. They give a cosy impression and provide an order not only for books but also for decorations. If you like colours, the HARMONY system allows you to choose a different colour of drawers or backs. Bookcases or dividing walls are popular again and whether they are smaller or larger, they definitely belong into contemporary interiors. In our new HARMONY system we are able to make a room for both a preschooler and a student. 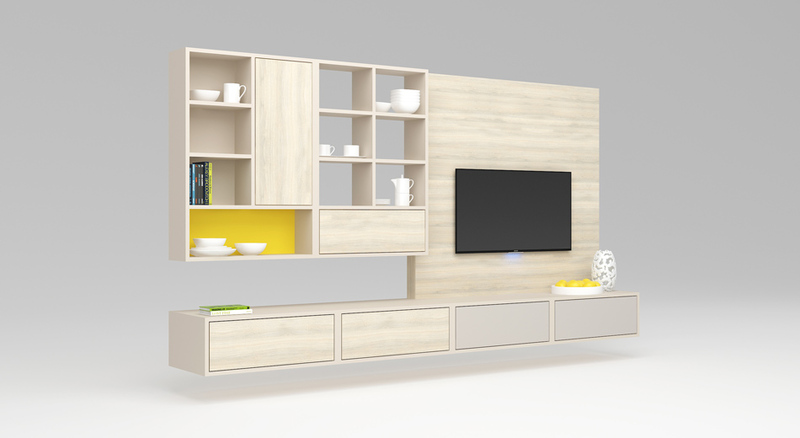 The variable furniture HARMONY set represents a combination of practical drawer models and airy shelves that never become boring and are popular with all generations as we tailor them to the needs of your children. Get more inspiration here.